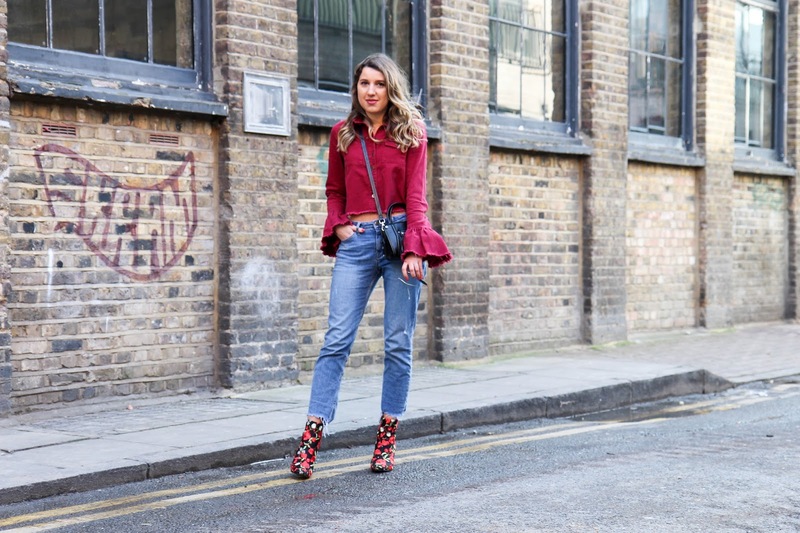 Exaggerated, flared sleeves have been seen everywhere this season and I must say I'm loving the trend. Admittedly, not the most practical for eating in but when is fashion ever practical. I must say my finest hour was not dipping these sleeves into my Monday morning frothy cappuccino but that's flared sleeves for you, or a mild case of early morningitus. As touched on in a previous post, you can never go wrong with a fail safe jeans and shirt combo. 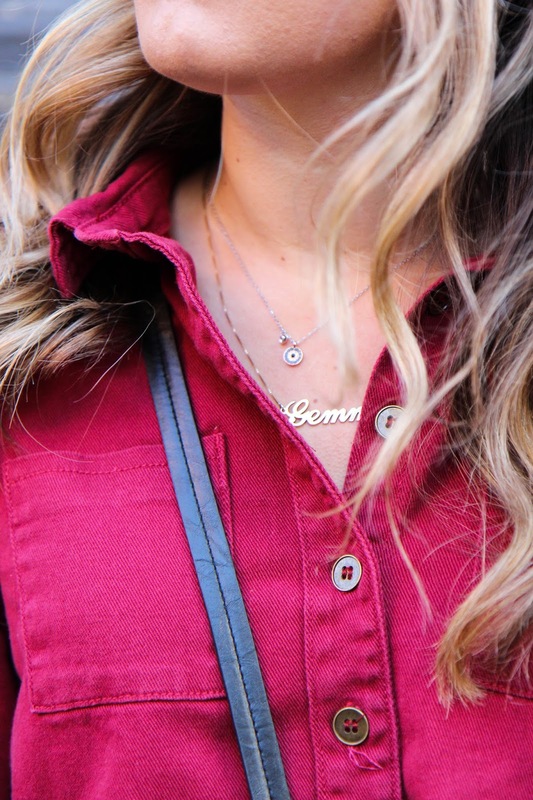 It is however the smaller details that can make all the difference to an outfit altogether. 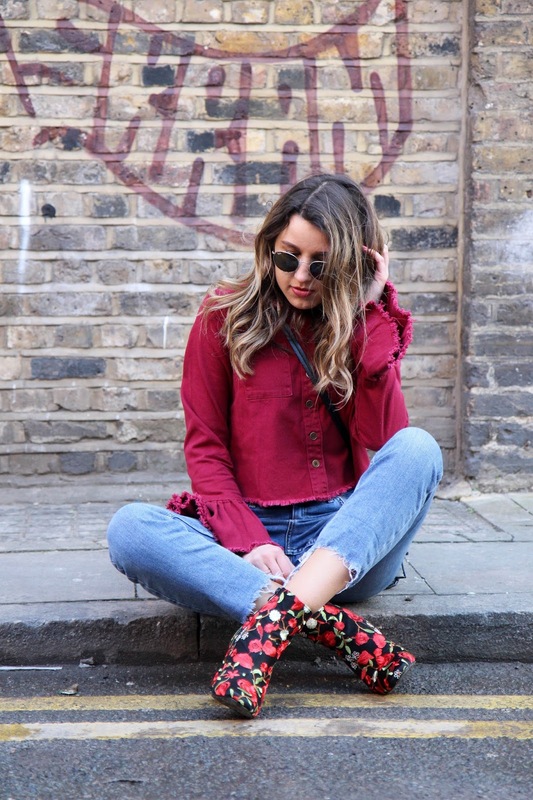 I'm talking frayed hems, flared sleeves, the list really is endless. Take this burgundy shacket as a prime example. 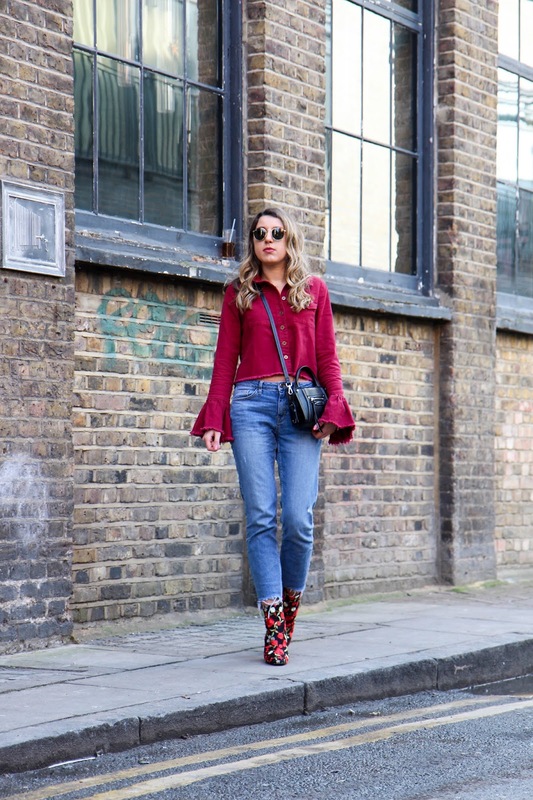 The flared, frayed sleeves just give it that extra detail to take it away from being that boring burgundy shirt. Wouldn't you agree?! 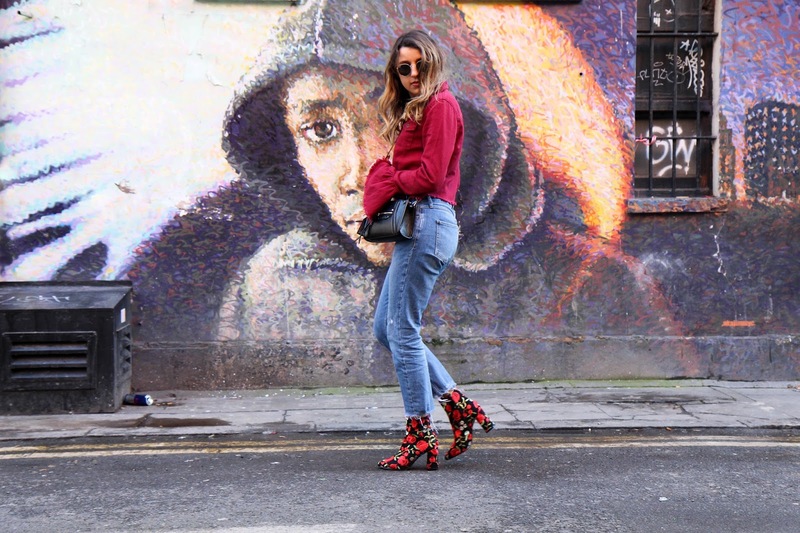 The rich burgundy hue steers me away from the monotone colour palette I often find myself falling into during the winter months, whilst keeping it appropriate for everyday casual wear. Now onto the best bit. These boots. I mean just look at those babies go! The babes at Public Desire very kindly sent them to me as a GALentines Day treat and I couldn't be more in love. They photograph like an absolute dream (just look at that floral detail!) and believe me they really are just as gorgeous in real life. 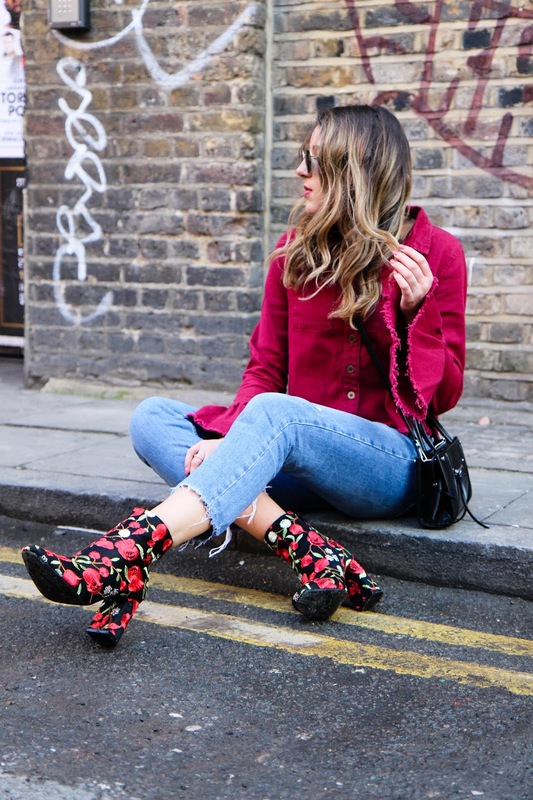 The heel is perfect for everyday which is something I often struggle with when buying heeled ankle boots. 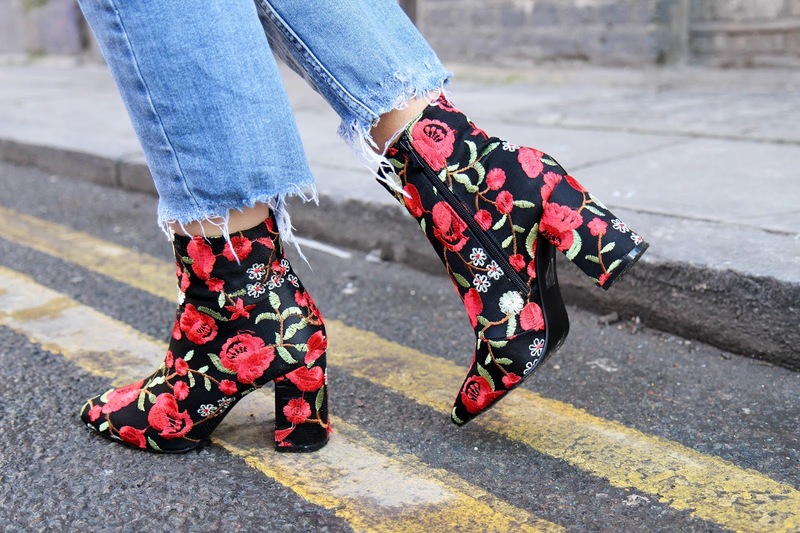 I think it's safe to say an ankle boot as amazing as these would make even a black bin liner look good. It's a slay everyday kind of shoe if you ask me, which can make even the most casual of outfits look good. This outfit is just so perfect. 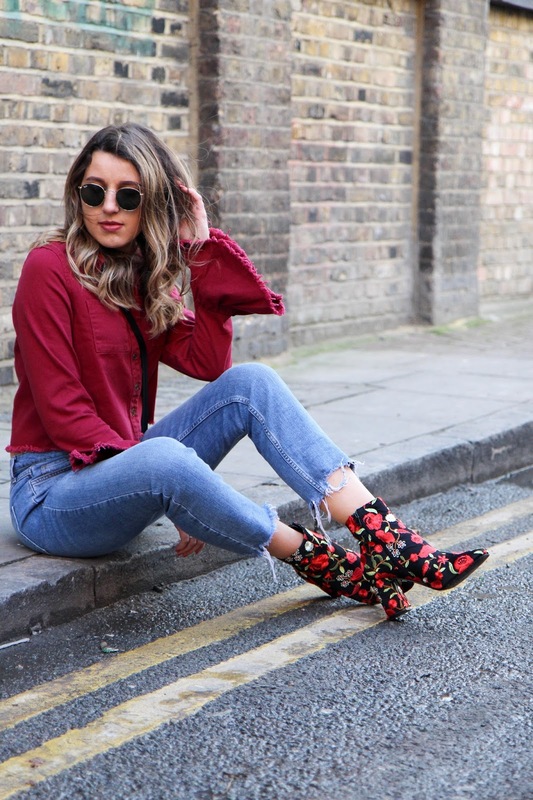 I love everything from the flared sleeves to the floral boots. 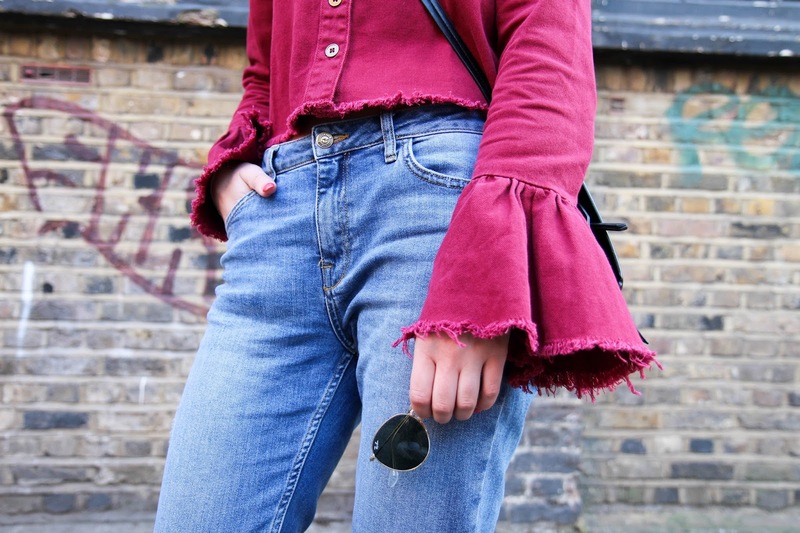 I've been obsessed with flared sleeves for months now, love this denim version!